We can provide trainings at your facility or organization to increase knowledge about different topics affecting Children and Youth with Special Health Care Needs. Browse the trainings available below and call Allison at 715-261-1933 (contact page) to discuss your training needs in more detail. Build Your Bridge provides information about how youth and families are often overwhelmed and under-prepared for the transition to adult health care. This presentation will introduce and discuss when to start thinking about health care transition as well as provide helpful tools and resources. Typically 90 minutes. Medical Home 101 – What is a Medical Home? Care Mapping: Available as an in person training: This is an opportunity to learn more about the importance of creating a care map for your family. Time is set aside to make your care map during this session. Can also be combined with time to create Care Notebooks. “Did You Know? Now You Know!” provides a comprehensive overview of health care coverage, including BadgerCare and Health Care Reform, community supports and services, and resources for children and youth with disabilities and special health care needs from birth through young adulthood. Family Voices of Wisconsin curriculum. Also available as a webcast at Family Voices of Wisconsin. Partnering with Your Child’s Doctor will teach you about tools and strategies to help you build a Medical Home (a trusting partnership between you, your child and your pediatric health care team) for all children & youth, including those with special health care needs. Support Parent Training prepares parents of children with special health care needs to be Support Parents for Parent to Parent of Wisconsin. Support Parents offer informational and emotional support to another parent raising a child with similar needs. What’s After High School? is a broad overview of the transition to adult life for youth with disabilities and special health care needs and includes the following topics: envisioning a youth’s future in the community; K-12 and post-secondary concerns; long-term supports; transitioning to adult health care; legal considerations; and supported decision making. 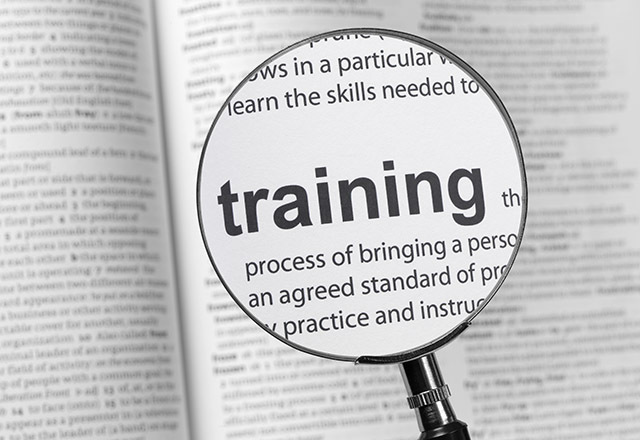 A PDF document training opportunities is here. Developmental Screening within Well-Child Care Visits is 60-minute session delivered on site at your clinic and is designed to promote the early identification of and timely referral for children with delays. In addition to learning about one validated developmental screening tool, Ages and Stages Questionnaire-3, community partners serving children with delays and their families will share information about their programs. AAP policy statement on developmental screening (2006). Pediatric Mental Health Screening Tools is a one-hour module, which reviews AAP recommendations on pediatric mental health screening and some of the literature behind them. Clinicians learn about 3 mental health screening tools and are provided with copies of each: the Ages and Stages Questionnaire: Social Emotional, the Early Childhood Screening Assessment and the Pediatric Symptom Checklist (.pdf). A clinic-specific list of resources (such as therapists seeing children with Title 19) is shared. AAP policy statement on behavioral health integration into pediatric primary care (2009). If you can’t find a training that suits your needs, together we can design a training that works for you and your organization. Please give Allison a call at 715-261-1933 or click on the Contact Us Page.